In this review, we discuss mechanisms of the transcription pausing of RNA polymerase II and its poised state. The important features of poised promoters and chromatin are briefly described. The role of transcription pausing as a discrete and important stage in the regulation of expression of master genes, which control stem-cell differentiation, cell lineage and development in Metazoa, are discussed. Original Russian Text © K.N. Kashkin, E.D. 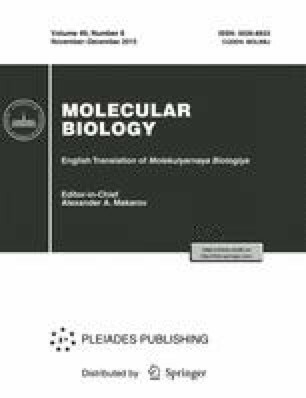 Sverdlov, 2015, published in Molekulyarnaya Biologiya, 2015, Vol. 49, No. 6, pp. 905–914.